Alzheimer disease (AD) is characterized by dementia that begins as mild short term memory deficit and culminates in total loss of cognitive and executive functions. The present study was conducted to evaluate the neuroprotective potential of Bacopa monnieri (BM), an Indian traditional medicinal plant effective against cognitive impairment, in colchicine-induced dementia. Intracerebroventricular administration of colchicine (15 μg/5 μl) induced cognitive impairment in rats as assessed by elevated plus maze. This was accompanied by a significant increase in oxidative stress in term of enhanced levels of lipid peroxidation and protein carbonyls. Concomitantly, decrease in activity of antioxidant enzymes was observed in colchicine treated animals. BM (50 mg/kg body weight) supplementation reversed memory impairment observed in the colchicine treated rats. BM administration attenuated oxidative damage, as evident by decreased LPO and protein carbonyl levels and restoration in activities of the antioxidant enzymes. 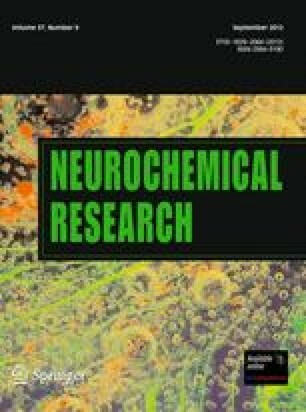 The activity of membrane bound enzymes (Na+K+ ATPase and AChE) was altered in colchicine treated brain regions and BM supplementation was able to restore the activity of enzymes to comparable values observed in controls. The results suggest therapeutic potential of BM in the treatment of AD associated cognitive decline. The financial assistance provided from Department of Science and Technology (DST) New Delhi, under women scientist fellowship and DST-PURSE grants is highly acknowledged.